In our journey through the Advent Season, preparing to celebrate the birthday of Jesus Christ on December 25, the Church paused on December 8th to celebrate the Solemnity of the Immaculate Conception of the Blessed Virgin Mary (two Masses were offered at Saint Clement for the Solemnity). As we continue to mourn the death of our beloved Bishop Robert C. Morlino, a holy and devout shepherd for Our Lord and Savior Jesus Christ, crucified and risen from the dead, let us continue to pray for the repose of his soul, entrusting him into God’s mercy and love. May we also pray for the intercession of the Blessed Virgin Mary for all the faithful in the Diocese of Madison. Mary is the Mother of Mercy, the mother of Jesus Christ, the source of all mercy. Sometimes people seem confused over the meaning of the Solemnity of Mary’s Immaculate Conception, mistakenly assuming that it refers to the grace whereby Mary without loss of her virginity gives birth to Jesus Christ, which we celebrate at Christmas. The Church actually celebrates Mary’s perpetual virginity on January 1 each year. What the Church commemorates on December 8th is that God made a special provision for the Blessed Virgin Mary, since she is the woman who would become the mother of our Lord and Savior, Jesus Christ. 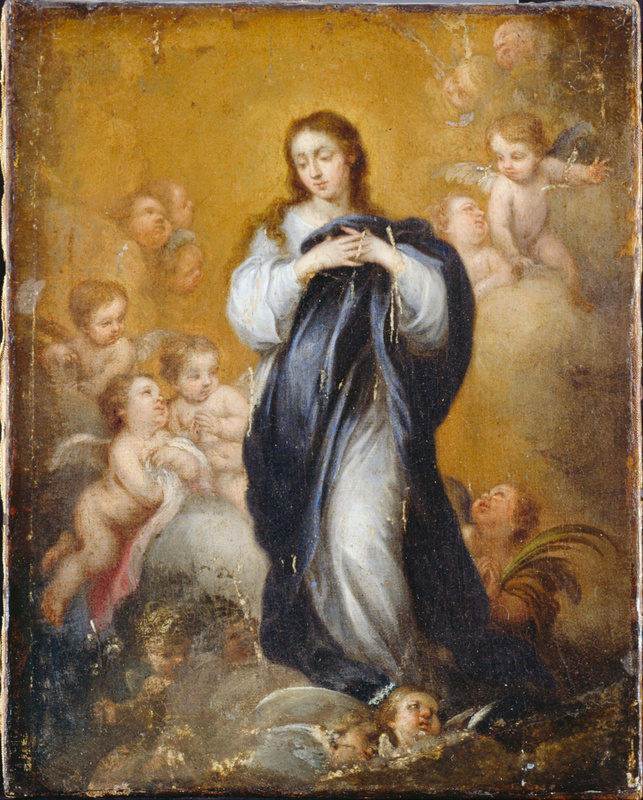 Unlike other human beings descended from Adam, the Blessed Virgin Mary was conceived immaculately and was preserved from all stain of original sin. This means that, by God’s grace, she enjoys immunity from the ways that sin affects us. The Church teaches that Mary’s special prerogative is given by God Himself – in other words, Our Lord gave to Mary in advance the graces that flow from the merits of His Passion, death, Resurrection and Ascension. Therefore, the grace of the Immaculate Conception freed Mary from the struggle to accomplish the good. What happened to Mary in an instant happens in us over time. We who suffer the effects of original sin, committed by Adam and Eve, can and do gain merit by sustaining the struggles involved in doing good. Mary, however, proceeds uninhibited by such difficulties. This special grace given to Mary does not lessen her capacity to merit good before God. Rather, because she is able to love more than we can, Mary’s merits reach beyond those of all the saints. She is a mother like none other, the first and the perfect disciple of Jesus Christ, the Mother of the Only Savior of the world. And since we are brothers and sisters in Christ (John 19:26-27), she is our Mother, too – and she is able to help us grow in holiness as we place ourselves under her maternal mantle of mercy.